This is home. I still don’t have my desk or bookshelf, but soon I will ask a local carpenter what his price is. This won’t be my dream home, but I will be here only for a year. Maybe next one is actually beautiful? This one is more practical and cheap. Maybe like a real good Chinese home. This is what I wanted. 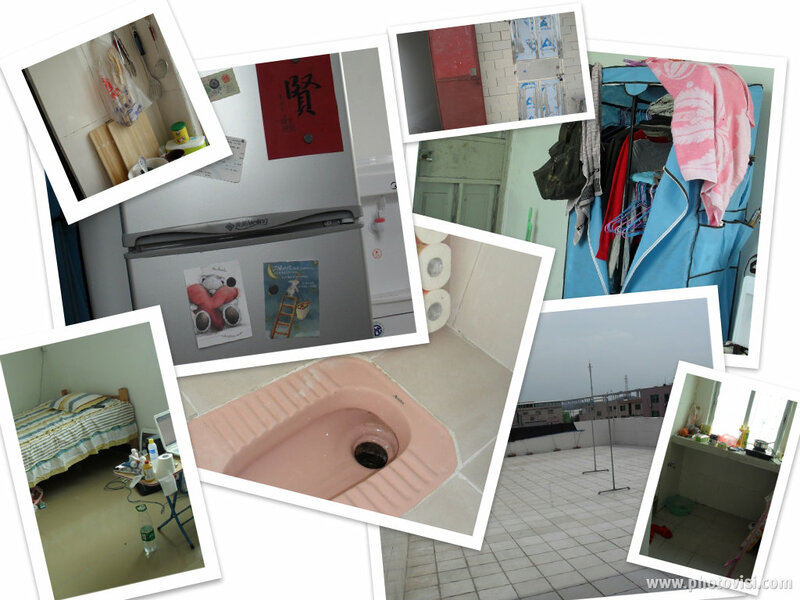 An apartment from a Chinese neighbourhood and that is exactly what I got. But this week I have gotten my share of culture shock or at least I think so. One day just didn’t want to go outside. To be stared and observed. I wanted to feel like I was part of something and not an outsider. So I stayed home and ate potatoes with meatballs. I have realized that I don’t have to be out exploring all the time. This is normal life here too. I can just read books or blogs. I can relax and not worry about what is outside. Right now there is pouring rain that makes me sit inside the rest of the day. And that is enough. Why The Shop Assistant Keeps Telling Me The Dress Is Too Small? dye your hair to black or dark blue would be a good idea, so you won’t be stared at all the time..
Haha, it would only work for a second and then people would see that my face, body shape and skin doesn’t really match with a Chinese person’s. well, at least you can fool some people on the streets, so that they won’t stare at you when they pass by….Although I used to study in Canada for many years, I have seen enough white people. However, I still couldn’t help but staring at the white people when they walking in GZ. haha, I was just like”huh, I really wonder what these white guys are doing in this part of GZ”, lol. Oh If that worked..but doesn’t! It that worked many people would do it. People know I am a foreigner even though I have dark hair and eyes because of the clothes I wear, the shape of my face and body structure, skin and other features. Many countries have good numbers of people with dark hair and skin, not all foreigners are blond and have light eyes. There is more and more people and more diversity so no one is surprised about hair color or skin color anymore.